Bet on our tennis prediction for today! This will be the first meeting between Mertens (highest seed remaining) and the defending champion Vondrousova. The Belgian is definitely off the boil since January, while the Czech’s only top 20 win came last year at Biel, defeating #18 Strycova. 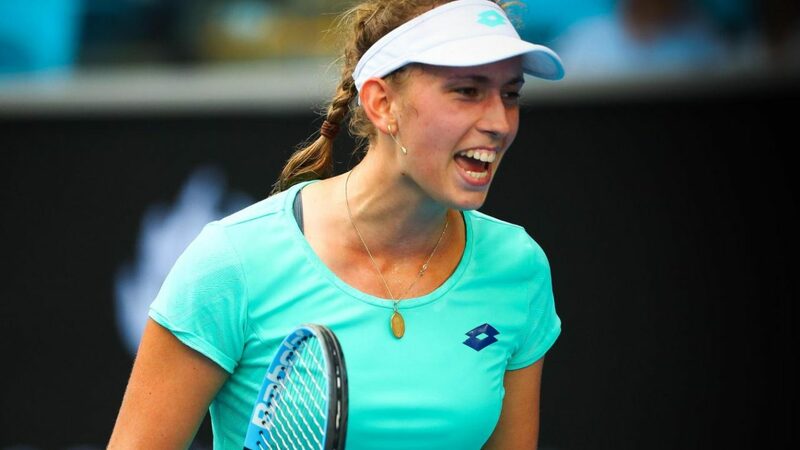 Elise Mertens secured a routine win over Mandy Minella, who was playing her first tour-level match as a mother, 6-4 6-1. She made just six unforced errors (20 winners) in the 81-minute first round match while going 5/11 on her break point chances. The Belgian #1 is yet to win back-to-back matches since Wozniacki ended her nine-match winning streak in January. The streak gave the world #20 her second Hobart title (won it in 2017) and an Australian Open semifinal (best slam result). Mertens won a total of 12 clay matches in 2017, which includes a runner-up finish at Istanbul (only clay final), semifinal at Bastad and the third round at the French Open (l. to V. Williams). Marketa Vondrousova, who is technically the defending champion of Lugano (despite the location and surface change), won her first round match over Putintseva in a span of three days. On Monday, the Kazakh led Vondrousova by 6-4 5-2 and had three match points. The play was suspended after the Czech forced the third set. The match, which resumed on Wednesday, was won by Vondrousova, who again came back from a break down in the decider. Vondrousova, who did not play the second-half of 2016 season due to her elbow injury and ended that year at #376, was the youngest player in the top 100 at the end of 2017. Last month, she debuted in the top 50 with a fourth-round run at the Indian Wells.